Legendary Soviet brand trademark POBEDA. Based on a French design, the Pobeda’s simple, 15-jewel movement was cost-effective, reliable, and easy to manufacture and maintain. Full-scale production commenced at the First Moscow Watch Factory. 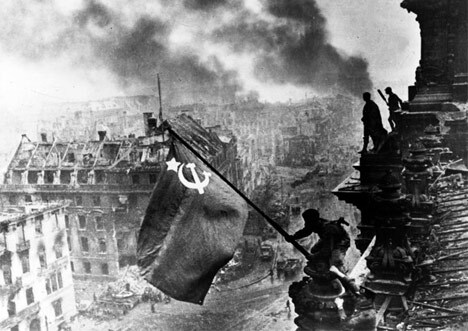 Joseph Stalin chose the name Pobeda (Victory) to celebrate the end of the war. Made in 1950s on 2nd Moskow watch factory. Original soviet watch has mechanical lever movement and manual winding. Comes complete with old fashion brown leather strap. 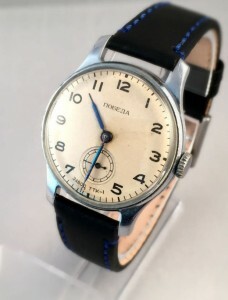 The brand name Pobeda was chosen by Stalin himself in April 1945, he gave the order that the first watches be ready for the 1st year of Victory celebration. 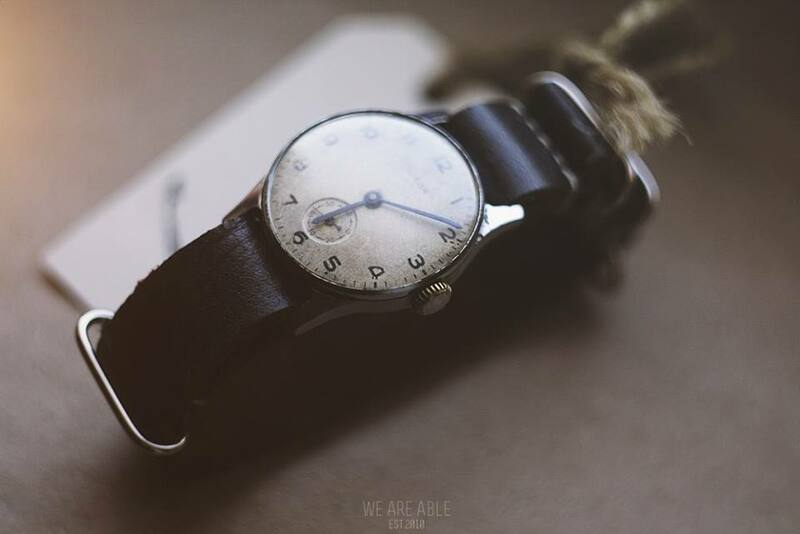 The first prototype came out of the Penza factory by the end of 1945, and the first model for the public came out of the Kirov Watch Factory in March 1946.